The Original Renegade Rowing Training Partners getting after it! One partner will start on the rower and one will start on the run. 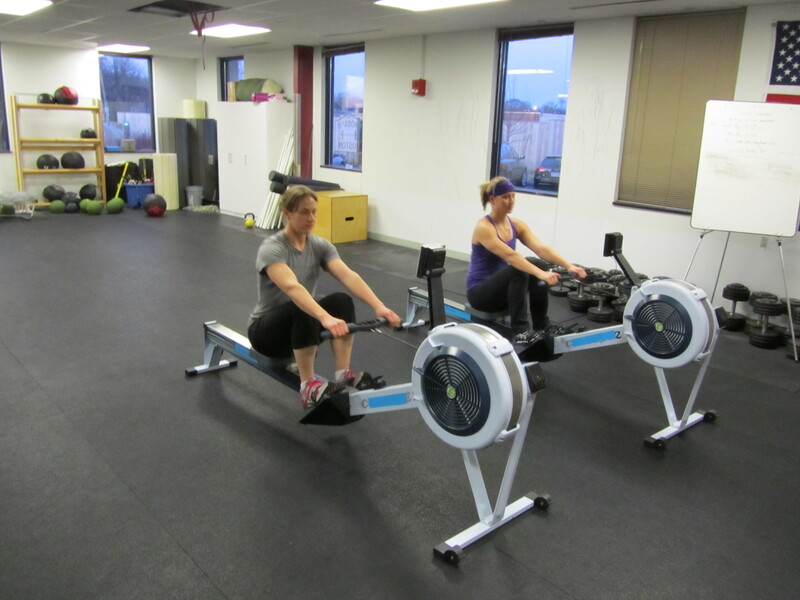 The rower completes the noted distance while the partner sprints a shuttle sprint and does 20 jump squats. For the run, designate a starting line and then setup three cones at 10m, 20m, and 30m. A shuttle run will be down and back three times to a different cone each time; in other words – touch the 10 and run back, touch the 20 and back, touch the 30 and back. The partner that finishes each round first gets time to rest! Post Time and Team Name to comments! Checkout the Renegade Rowing League Setup from last year! The RRL starts December 21st at CrossFit Boston. Register here if you’d like to compete! If you’re interested in training for the RRL checkout the Renegade Rowing Club! This entry was posted in Fitness, Rowing, Strength and tagged endurance sports, exercise, functional movements, health, inspiration, rowing, sports, training by Renegade Rowing. Bookmark the permalink.